Hotel Mogul has an interesting plot and great gameplay depth. With a layout similar to the Build-a-Lot series, the game provides over 30 challenging levels to test your real estate skills. You step into the shoes of an enterprising woman who wants to teach a lesson to her cheater husband. By helping her buy, develop and sell the right hotel properties at the right time, you will assist her in taking back the old family business from her husband. In this business simulation game, you will have to deal with real-world challenges in a virtual society. With limited budget and resources, you will have to buy and sell property at the right time to avoid unpredictable decreases in property prices. The real-time game mechanics of Hotel Mogul take various factors into account to decrease and increase hotel property prices unpredictably, making you wonder what’s next and challenging you to use judgment and timing to purchase, develop and sell hotels at the right time. You will also be given a chance to demolish properties that are proving to be a big loss to your business. Through five exotic settings, you can manage various types of hotels, collect rent and play various mini-games to improve the chances of earning more revenue from your hotel business. Exploiting iPhone 4’s retina display, the game offers excellent 3D visuals and sound. The graphics are bright and colorful and the animation is smooth. Hotel Mogul tests your instincts, patience and sound judgment to run an efficient business and is a must-try if you are looking for a good, solid business simulation game. Though not quite as visually attractive, A Business Tycoon will appeal to earnest tycoon gamers who are looking for a fun, but deep business simulation game that allows them to play big on the virtual playground. The game offers a sneak-peek into the unforgiving world of business and shows you how to have a competitive edge over your opponents in search of fame, success and cold, hard cash. The plot is as amusing and interesting as the gameplay. For some unknown reason, you are generously offered a sum of $10 million by a business mogul. You are then given brief advice on how to succeed in business and then you start your business hoping to be as rich as your patron. But things aren’t as simple as “Buy Low, Sell High” a business mantra that your patron taught you. You will have to take loans, invest in the bullion market, trade shares and sell them off at a profit. You can then spend your hard-earned invested money on gambling by playing three addictive gambling games. You will also buy and sell properties, keeping in mind the mantra for success. A Business Tycoon is one of the top iPhone tycoon games for the serious business simulation crowd. The game’s fun aspect is the ability to unlock beautiful “business companions” when you are at the peak of your profitable business. 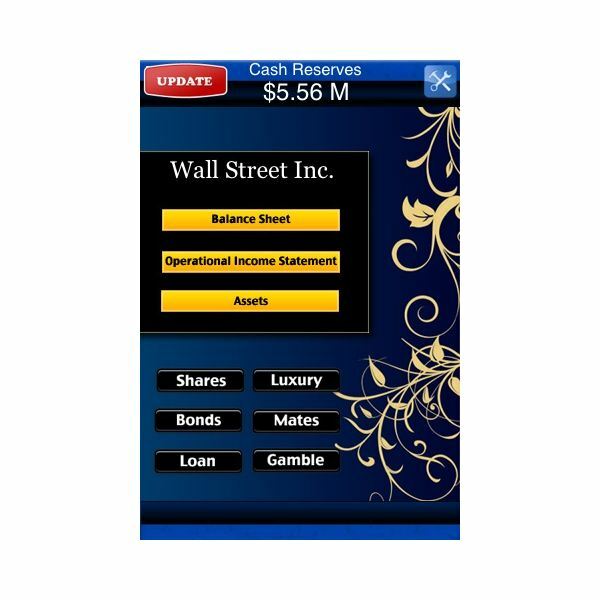 The game offers plenty of unlockables, including luxuries and provides a deeper business simulation experience. A casino-themed tycoon game, MiniTycoon Casino allows players to build their own Las Vegas-style casino empire. Gamers can buy their favorite machines and employ their iPhone buddies online as dealers to rake in hard cash. MiniTycoon’s in-game shop lets you purchase poker tables, slots, blackjack tables, and decorations for your small-town casino. As the levels progress, players can upgrade their machines to raise their star ratings, which In turn will allow them to unlock plenty of surprises and items associated with their flourishing casino. Besides decorating and adding new items, you will also have to show your casino management skills, monitor all machines and check if any of them need upgrades or repairs. The more clean and up-to-date the casino is, the more players it will attract, which will guarantee more profits. The virtual casino will house plenty of gamblers who will win and so make sure you compensate the winners. The multiplayer aspect of the game allows players to send gifts, messages and earn energy to ensure things run smoothly. You can stay in touch with your friends and visit their casinos via the Sign social network. MiniTycoon Casino is a nice casino-themed business simulation game aimed at the casual player. 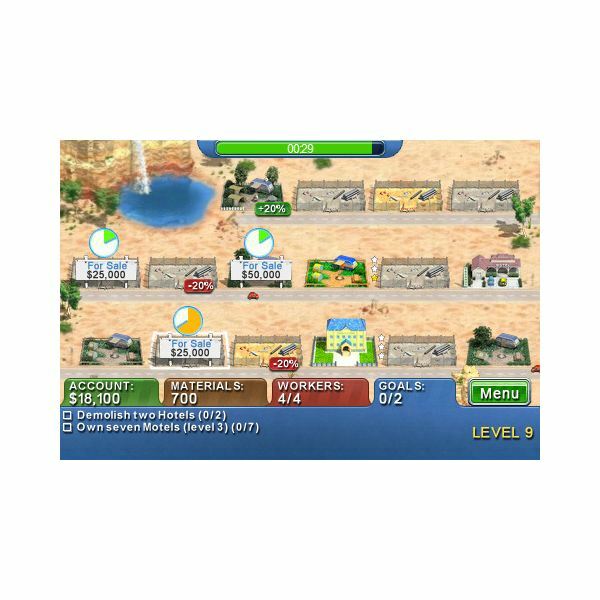 The game borrows some elements from Zynga’s Farmville, although several aspects will remind you of standard tycoon games. Millionaire Tycoon is much like Monopoly, only more addictive and enticing than the original. 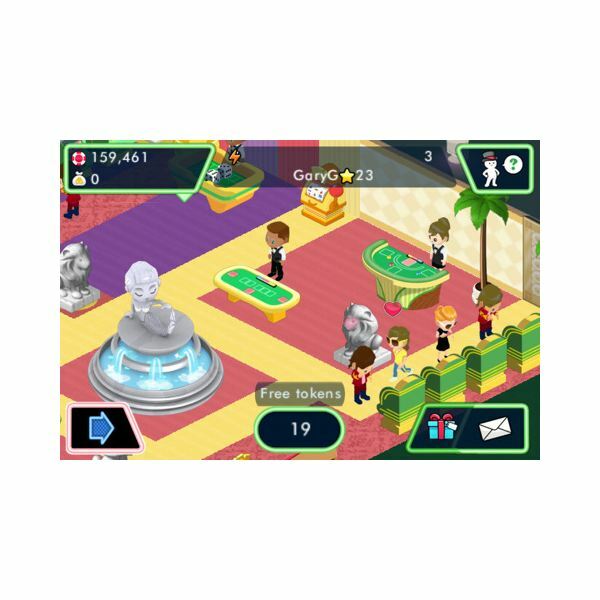 While the game relies more on chance than strategy, it may prove to be a refreshing change for casual tycoon lovers who are looking for some fun instead of a serious business simulation. The app developers have included a few gameplay twists, including faster play and random events to keep gamers engaged for a long time. There’s also an in-game store that allows players to buy “power-ups” that aid them to “cheat” by manipulating the virtual dice and engaging in all sorts of business tactics to prevent opponents from buying lucrative properties, streets and landmarks. Millionaire Tycoon starts like any tycoon game. You have a limited budget to begin with and have to build a millionaire empire by trading on stocks, constructing hotels and buildings and attending games of chance (gambling). Keeping the traditional real estate board game elements intact, the game offers nice surprises. The game’s multiplayer option allows you to play against five of your iPhone buddies when you get bored with the rather tough AI. The 3D graphics are gorgeous, bright and vibrant. Overall, Millionaire Tycoon is a great game for kids, casual players and those who are looking for a light business simulation game. 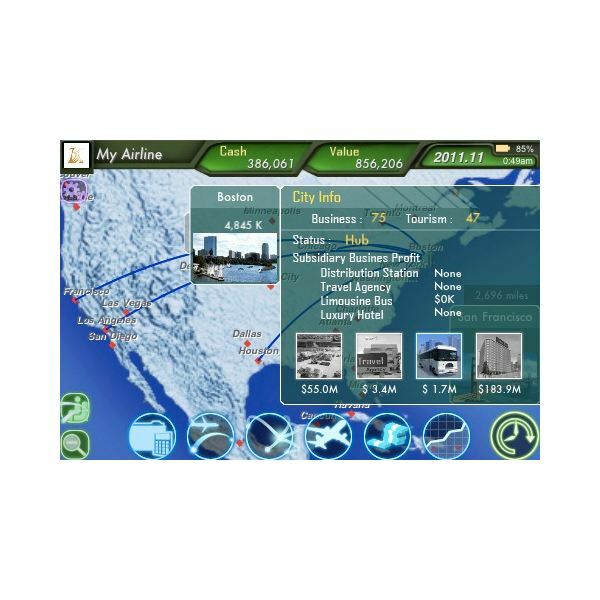 The sequel to the popular business simulation game packs in more airports, airplane models and has a completely revamped interface. The objective of both games is to set up a successful airline company, build routes and buy airplanes to expand your aviation empire. This game will appeal to serious business simulation players and has plenty of graphs and charts to monitor progress and profit. Aviation enthusiasts will love the in-depth gameplay and there are plenty of ways to keep track of your flourishing virtual airline company. You can choose your favorite airplane from over 40 realistic looking airplane models, build passenger and cargo routes and control and manage everything from design, level of service to airfare, schedule and even the design of seat. You can also keep track of your business decisions via the in-game pie-charts, graphs and statistics. Air Tycoon 2 also allows you to invest and acquire a loan if you want more funds to manage your airline business. 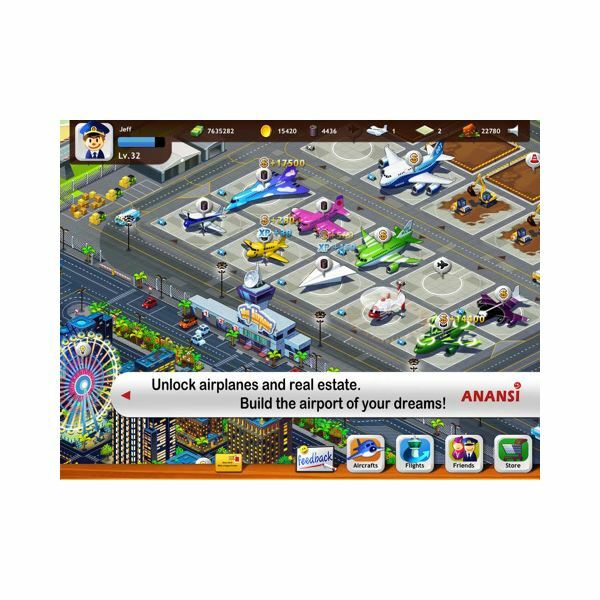 Airline Tycoon 2 is one of the very few serious iPhone tycoon games out there and certainly not recommended for the casual tycoon gamer. Flight Tycoon is the casual gamers’ “Air Tycoon”, and offers a graphically enticing, fun business simulation game to players looking for a straightforward tycoon title. The game allows you to build your own fleet of aircraft and start your dream airport with little resources and cash in hand. You will have to construct an airfield and purchase over 20 models of unique aircrafts. You will then have to fly your passengers to earn cash. To improve your business, the game offers plenty of upgrades, decorations and buildings such as cafes and restaurants, which can be unlocked as you progress. The more you unlock objects and add to your airport, the more income will flow. Flight Tycoon is nowhere near to Air Tycoon 2 when it comes to gameplay. The game lets you build and manage an airport and make it more visually enticing to attract passengers. However, the game’s quite fun to play and can get addictive once you start unlocking goodies and use them to earn more profits. Lemonade Tycoon brings out the budding entrepreneur in you and will remind you of your childhood days. The game allows you to start with a lemonade cart and a few dollars and tests your creativity and business acumen. 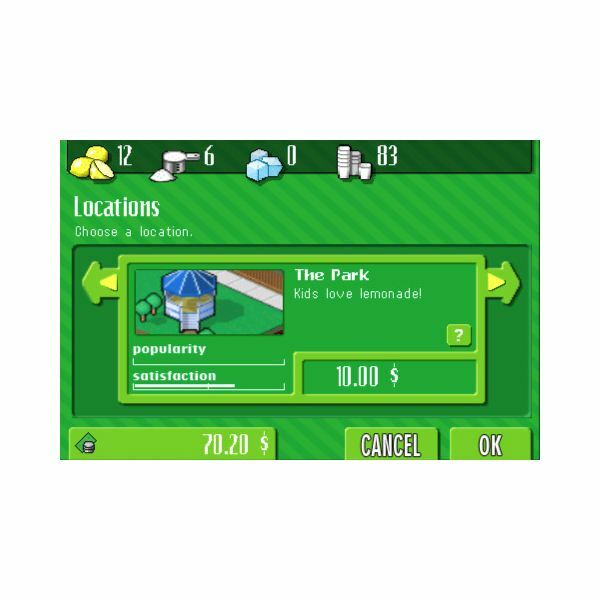 Lemonade Tycoon’s real-time weather conditions will help you decide when to sell your lemonade at higher prices. You can also choose to set up your pitch in a variety of locales, including baseball stadiums, parks and malls. The place you choose also determines whether the lemonade sales will rise or fall. Along with the location, the game allows you to choose recipes, advertising banners and staff when your business grows a little. You can also upgrade your stand and buy better equipment and other stuff, which will surely maximize your earnings. You can test your selling skills in the 30-day Challenge mode or play the open-ended Career mode to create a huge lemonade empire. 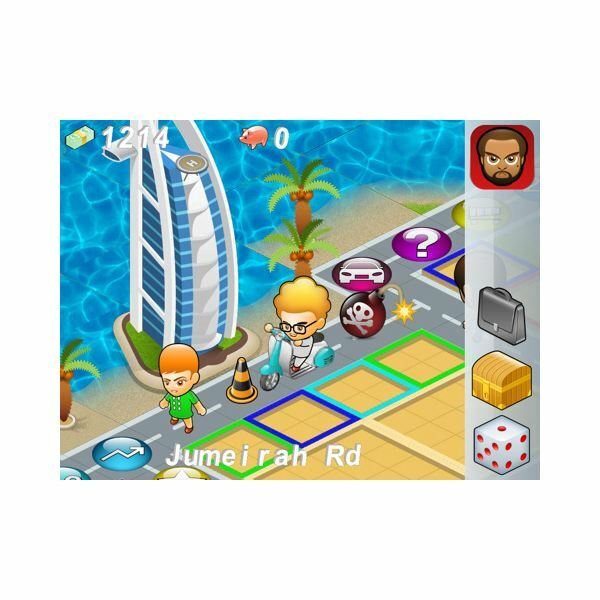 The game is easy to play, simple and a must-download if you enjoy playing business simulation games. Developed by EA, Lemonade Empire is available totally free at the iTunes store, but is ad-supported. I would recommend downloading the free version over the paid one because there is no difference between the two except the ads. There are plenty of variations in the tycoon genre of games. You can be the owner of a huge casino empire, run a chain of hotels, manage a zoo and build theme parks. Many developers have come up with their own themes and of these, some were blockbuster hits while others failed to deliver a perfect simulation game, probably because of poor game mechanics or the theme really did not fit this genre. In Fish Tycoon, the fish breeding theme may not appeal to some gamers, but the depth in gameplay truly surpasses the rather unusual theme. The objective is to set up a small aquarium with the help of a few hundred dollars and a handful of fish eggs and expand your virtual aquarium with the maximum number of different breeds of fish. Maintaining a virtual aquarium in a persistent world can get really challenging, particularly when you have to breed and care for more than 400 fish species and then attract customers to earn revenue. The best part of gameplay is the real-time progress, which means it will continue even after switching off your iPhone. You will have to manage your aquarium regularly, monitor the health of each fish species and feed them regularly to ensure they don’t fall ill. 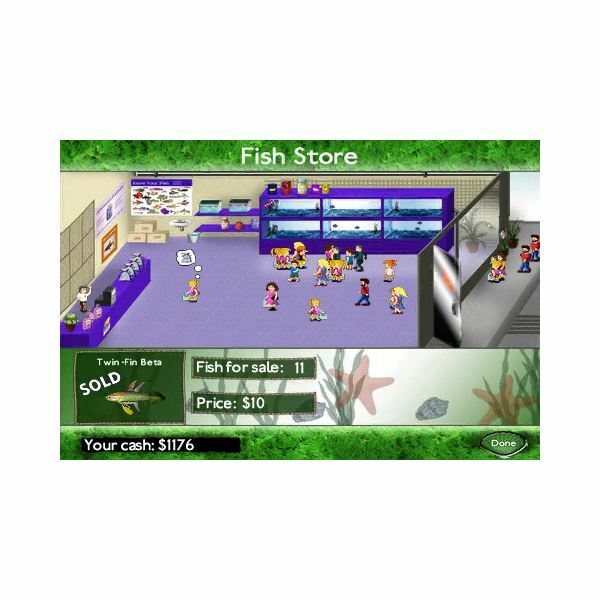 This business simulation/virtual pet combination is the highlight of the game, adding more depth and testing your business and aquarium management skills at the same time. To add more variety, developers have also infused a puzzle to the game that allows you to discover the “7 Magic Fish of Isola”. The objective is to unlock a genetic puzzle by combining various fish breeds and only then can you unlock these mythical fish species. These unique gameplay tweaks add more interest and ensure that you'll never get bored. The game has plenty of customizable fish tanks and upgrades to enhance your aquarium layout and design and attract new customers. Fish Tycoon provides a rewarding gameplay experience by offering plenty of gameplay twists and surprises and is one of the top, most-downloaded iPhone tycoon games to date. There are some superb Zoo Tycoon alternatives on the iOS platform. Among them, Zoo Story is the best in terms of gameplay and visuals. 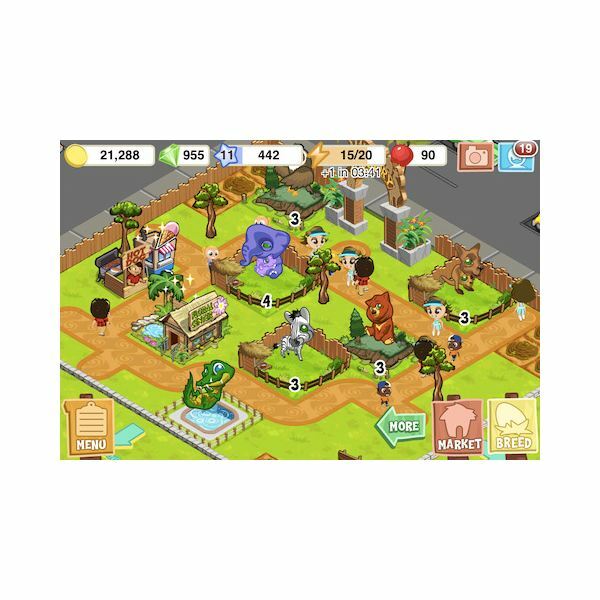 You can build your own virtual zoo from scratch, set up different types of animals, attractions and exhibitions and become successful in your venture. A unique feature of Zoo Story is the ability to grow crops to feed zoo animals. This means you will have to build your own farms so that you can feed your animals to keep them happy. The happier they are, the better the chances of earning more money. The animals and birds you can breed and raise include exotic species of koalas, ostriches, snow leopards and pandas. You will also get a chance to discover additional “secret animals” like unicorns which will surely fetch you more money. However, other factors such as the zoo design and layout will also determine the success of your business. Thankfully, you have got the freedom to add a new layout or tweak existing ones to attract more customers. Visually, Zoo Story is very appealing to the eyes. You will instantly fall in love with the adorable exotic animals and various brightly-colored theme park attractions. The top-down visuals are gorgeous and perfectly fit the iPhone screen real estate, giving a good perspective of the entire zoo. The touch-based controls are smooth and require you to tap and view the stats of each animal. There are a few Farmville elements involved, including an option to visit the zoos of other players and get some cool bonuses when they visit yours. The game has plenty of special quests to complete and each rewards you with bonus unlockable content. Overall, Zoo Story is one of the best zoo-themed iPhone tycoon games to date and a must-play if you like Zoo Tycoon style games. At heart, Karnival is a standard theme park management game, but the 1930s depression-era setting and an unusual plot makes the familiar gameplay look more stunning and neat. You step into the shoes of a poor handicapped boy who wants to start his own carnival. You have to help him in his quest for fame and set up different types of freak shows, rides and shops to woo customers and become one of the richest freak show managers in the US. In Karnival, the tiny freak shows, shops and other entertainment shows you build and manage belong to the 1930s era. Besides being visually appealing, these elements add more interest to the standard theme park management game. You will have to design your own carnival layout across different towns and have a variety of maps to create one. While traveling through different towns, you will meet other “freaks” and employ their services to attract more onlookers. You will also set up tasty treats, thrills, rides, and mini-games to earn more cash. The game has two modes: career and sandbox mode. The career mode is interesting, though the game begins at a slow pace and you should have some patience because the money won’t flow in quickly. The sandbox mode has all the content that you’ve unlocked in the career mode. 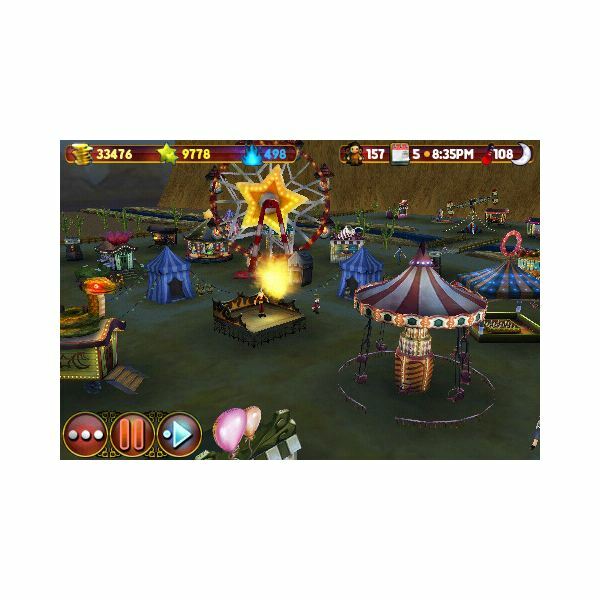 Taking advantage of the iPhone touch screen, the game lets you pinch and zoom to get different views of your carnival, allowing you to have complete control of your shows. Karnival is a fun and addictive game, and a must-play for all tycoon gamers.